The F-Exx 8.o Bio is suitable for all parts of your home. 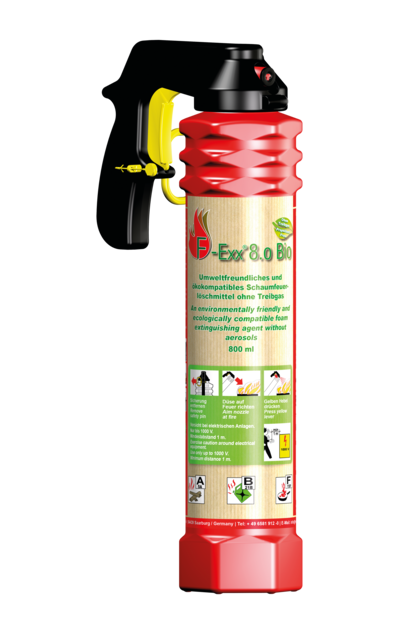 Very high-quality, environmentally friendly ingredients in accordance to cosmetic requirements have been used for the Bio-extinguishers. 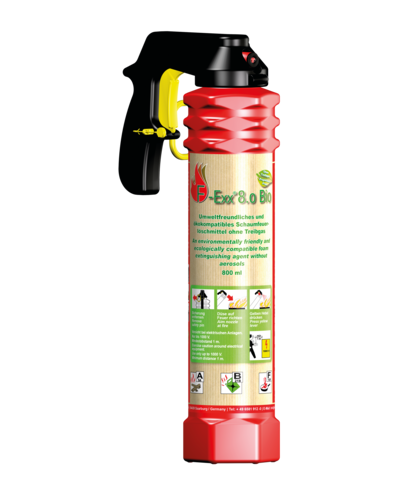 The extinguishing agent is biodegradable and pH neutral, preventing skin and eye irritation. 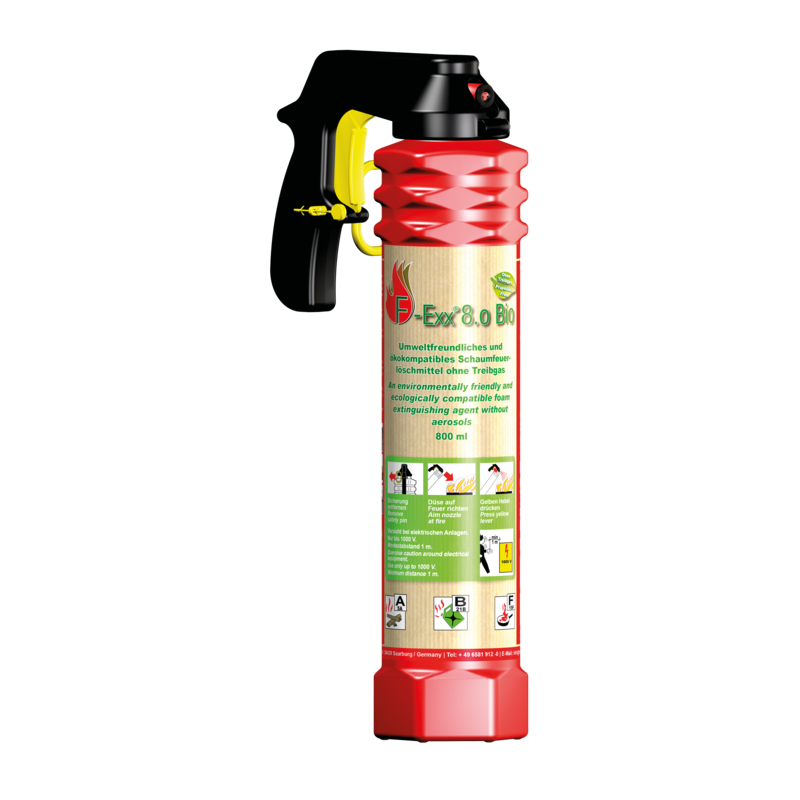 After use, the sprayed surfaces can be cleaned with clear water and the empty bottles can be easily disposed of in the household waste. With its light and intuitive handling, the ergonomic handle design and low weight of 1,400g, the F-Exx 8.o Bio is ideally suitable for first time users. A security device protects against any accidental triggering. The product has a maintenance-free shelf life of three years.